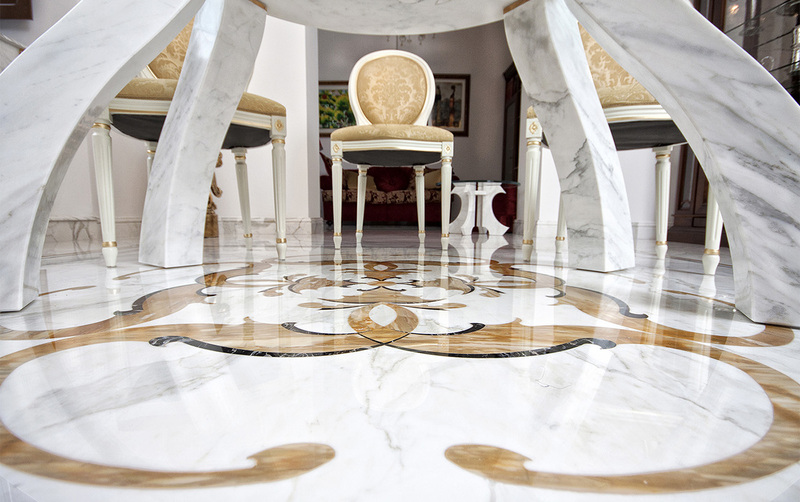 When you decide to use marble for flooring your house, you are surely opting for an elegant and classy solution. Marble has in fact some unique qualities: it is really hard - not to say impossible - to find the same characteristics in other types of materials, which often follow fashions and trends destined for lasting a short time. On the contrary, marble has been much appreciated in all ages from ancient Rome up to the present day, in particular for its use in flooring. 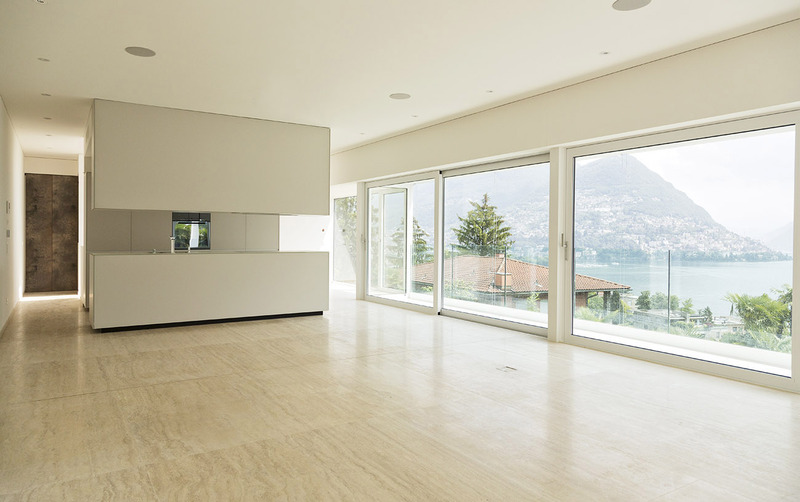 Marble floors offer a wide choice, starting from the available colours. 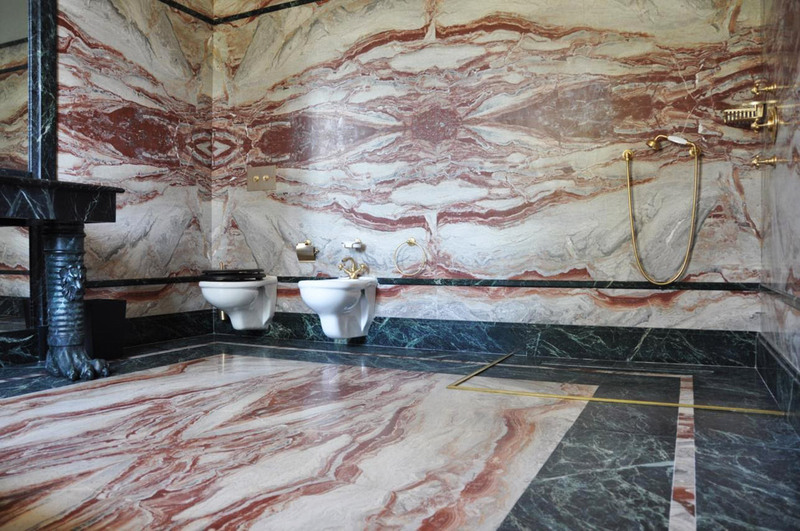 Floors can be realized using classic white marble colour but also damask red, ocher, pink, blue, malachite and black. The rule according to which we must know how to combine well the furniture to the floor is always valid and especially applies to marble flooring. Moreover, this rule is doubly valid in case dark marble is used: the house must have the right illumination and maximum attention must be paid to the details. Even if you decide to create an inlaid marble floor, the interior design of the environment must be designed immediately. The style of a house reflects the style of those who live there. A marble floor cannot be limited to a random room: those who live in the house know which touch to give to every single room. For instance, marble floors are a classic element for living-rooms, bathrooms and kitchens. Yet, also the whole house can be covered with a marble floor, for example by using different shades depending on the room in order to customize each space. Generally, marble is not recommended for bedroom floors, since it is a cold material. But this is not always true: there are valid solutions for having a warm and cozy marble floor under the double bed. In conclusion, the only limit to the use of marble in flooring is imagination. Even the exteriors can be floored with marble slabs to create big chromatic and contrasting effects in the garden or under the gazebo. Another successful use of marble is for furniture and furnishing accessories. The contrast between marble white and the greenery of the garden has always fascinated from the era of classical antiquity. Choosing marble in some rooms of the house such as the kitchen and the bathroom is not fortuitous or just a matter of aesthetics. Marble, with its intrinsic shininess, offers remarkable brightness in areas that need light. But a marble floor is also a synonym of resistance above all to water and stains. Cleaning a marble floor is easy. For ordinary cleansing a soft sponge soaked in hot water is sufficient: unlike wood, marble does not fear any consequence from the contact with water. It is suggested to rub properly by adding some drops of neutral detergent (if necessary) and, after that, to rinse with water. As a last step, it is recommendable to dry the floor with a suede cloth or even an old wool sweater and the stone newly becomes bright and shiny as ever.